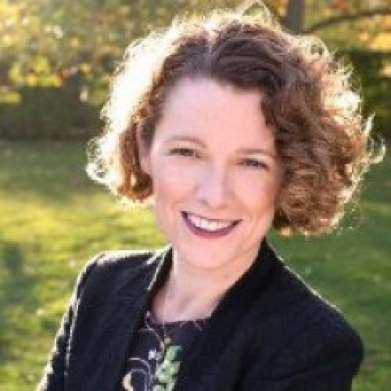 Kirsty Gogan is the Co-Founder and Executive Director of Energy for Humanity, a global non-governmental organisation (NGO) with an ambitious agenda to broaden the climate and energy debate to include all low carbon technologies on the path to deep decarbonisation. Gogan is an established expert in climate and energy communications with extensive experience as a senior advisor to the U.K. government, industry, academic networks and non-profit organisations. She created the Low Carbon Alliance between the nuclear and renewables industries, representing more than 1,000 businesses. In an interview with Energetika.NET, Gogan emphasised the use of nuclear energy, which is, as she said, vital in the fight against climate change. Energy for Humanity was established in 2014. What have been your achievements so far? We have focused on two great challenges. Firstly, how to dramatically reduce carbon emissions within urgent time scales, and secondly, to enable billions of people who lack access to electricity to gain access to modern energy services. These two aims have one thing in common: the energy we use to power our world. It is somewhat extraordinary that half of the people in the world currently lack access to enough electricity to live the modern life we take for granted. A lot of the strategies that have been put forward for climate mitigation focus on 100% renewable energy sources (RES) as being the goal, and often include very large assumptions in relation to energy efficiency, for example a 40% reduction in the energy that we use today. I just cannot reconcile with that, because it means that poor people stay poor. If half the people in the world were to have access to a reasonable amount of electricity this would probably mean a doubling or tripling in existing demand. Not only do we need to entirely replace our existing fossil fuel infrastructure within decades, but also to double or triple it. So, our position is that to meet these challenges, we need to use all of the tools at our disposal and there is really no need to exclude nuclear energy from that conversation. The reason we ended up focusing on nuclear energy is because it tends to be very neglected. The emphasis in the climate-energy discourse is always on RES and energy efficiency, and nuclear is kind of a taboo. I am not a nuclear evangelist, but I end up talking about nuclear a lot because it is neglected. That is exactly what I wanted to ask you. What is your stance towards RES and nuclear? This is not about nuclear versus renewables. We need both. We need to massively increase solar, wind, energy storage and batteries, as well as efficiency and nuclear if we are serious about solving climate change. What this is really about is nuclear versus coal. This can be seen in Germany. The country has put in more than 50 GW of wind and more than 40 GW of solar, so this is not about needing more investment or needing more RES. They have built more wind and solar than the entire U.K. grid at a cost of EUR 26 billion per year in subsidies just for feed-in tariffs. And yet, because they are taking nuclear offline, they cannot reduce their dependency on coal. 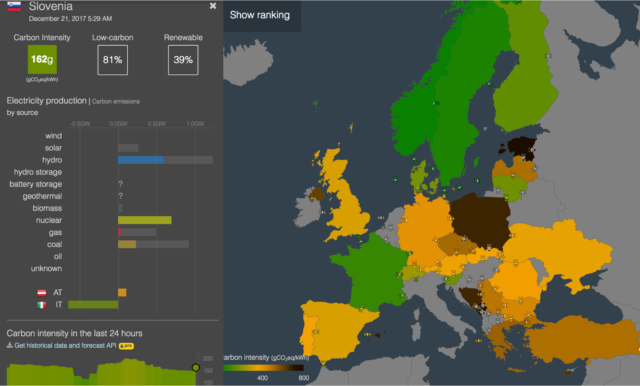 Are you saying that Germany should retain nuclear energy? Yes. I don’t think this will happen, but from a climate perspective, Germany’s decision to phase-out nuclear energy has been a disaster. Emmanuel Macron, the French president, has reversed his decision to phase-out the country’s nuclear fleet because he has seen what has happened in Germany. He said, ‘Well, they now have to build a new lignite coalmine, so I will choose my battle and my battle is climate change, not nuclear energy’. For me, that is real political leadership and courage. In this perspective, how do you see Poland, for example, which has a lot of coal? The Polish nation are also price conscious. There are two major barriers to scaling-up nuclear energy in Europe: high costs and low public confidence. If nuclear energy is to be scaled-up to the extent that it would really make a meaningful contribution towards solving climate change – so, not just one project here and one project there – but a real programme of nuclear new-build, then we really need to drive down costs. There are all kinds of nuclear technology to be developed. This is not a case of ancient technology for the next century. For example, why not re-power coal-fired power stations with next generation nuclear technology. We have a lot of existing infrastructure which is essentially giant kettles. If you think about it, heat and steam is needed to spin those turbines. This can be done by burning coal or potentially by a nuclear reactor. This strategy has been looked at very closely in the U.S. where they also have a lot of coal and many communities that are worried about their livelihoods and jobs. If it can be proposed to those communities that they will not only maintain their local economic activity, but it will be done in a way that isn’t dangerous and dirty, then that sounds like quite a good deal. You mentioned the U.S. What do you think of President Donald Trump’s move to walk away from the Paris Climate Agreement? Is this something serious, can we touch upon it, or will the global fight against climate change continue as normal? A lot of the decision-making and action will take place at state level and by large companies. And, generally, most of those players in the U.S. remain committed to the transition towards decarbonisation. In terms of the real material effect, I think that this decision is not that relevant. I think what we have lost is leadership, which is really unfortunate. What has happened is that America has essentially given up its leadership in the global fight against climate change and has handed it to China. If I have understood everything correctly, President Trump has introduced a tax reform which does not support renewables. Yes, he is making changes at a federal level. But again, a lot of that action can be taken at state level. In terms of carbon emissions, by supporting nuclear he may actually end up doing more for the climate – ironically – than the democrats would have done. Half of the existing nuclear fleet in the U.S. is currently at risk of premature closure, because nuclear capacities have been undermined by cheap shale gas, of course, and subsidies for renewables. Half of the existing nuclear fleet is uneconomic to run. If this half of the fleet were to be shut down and replaced by gas, this would be much more high-carbon. If Trump values nuclear and does something to save it, he may actually end preventing more carbon dioxide emissions. This is the peculiar thing about climate. It’s very loaded as a left-wing issue. The solutions have been framed as being entirely about renewables and energy efficiency, but we have found when we looked at the European case and countries with a very high level of installed RES capacity, that there is no correlation to having very low carbon intensity. If there is no real correlation between RES and low carbon intensity, then it really makes me ask the question: Are we confusing the means with the end? RES are part of the means to get us to the outcome that we want. We should remember to keep our eyes on the price, we should keep focusing on the outcome we care about, which is reducing our carbon emissions, and improving clean air and reliable electricity. In the west, the EU and the U.S., you see the future in a combination of nuclear and RES. What about Africa? The majority of nuclear new-build will probably be in Asia – China, India, South Korea, the UAE, the Middle East. That is where most of the cost-effective, on-time, on-budget successful nuclear constructions are happening right now. If the U.S. and the EU want to play a role in 21st century global strategic infrastructure, they ought to get their act together. I hope this happens. The next-generation technologies that are under development require a lot less regulatory oversight, for example much smaller reactors that can be brought into a city on the back of a lorry, buried in the ground and left there for 10 years to power a city for 10 or 20 years, and there is no need to open it up, take the lid off, or put new fuel into it or anything like that. Then it can just be taken away. That’s the kind of scalable technology that should be considered for countries that don’t have mature regulatory capability or even a grid. Right now, it’s a huge uphill battle to think about deploying nuclear to countries that don’t have experience, a supply chain, regulation… I went to Kenya a couple of years ago and met with the Kenyan nuclear electricity board. They would love to have a nuclear power station instead of building new coal to provide electricity to their citizens. But actually, right now it’s easier for them to build coal. We have to ask whether we are making a sensible risk-assessment. Why is it that nuclear is so much more highly regulated than coal? What can you say about energy prices in the world today? The impact of cheap gas should not be underestimated. If I was to make predictions about energy prices, I would say we will probably see much more cheap gas. Cheap gas will contribute to drive down the costs of electricity. What could change this is a carbon price that works or a carbon tax. If we were to start putting some prices to those externalities, the price could go up. If you combine this with modern energy services, as previously mentioned, can we also expect higher prices? Is there any correlation between modern energy services and the prices of energy? What, then, is the best option? I think it should probably be a combination of technologies. If we focus on a single-path technology, then we lose the whole system. So, it depends on the context. In some places, it makes sense to build solar or wind, whilst in other places it makes more sense to build nuclear or hydro. One thing that we do know is this: if we want to drive down costs, the best thing to do is upscale something at a programme level. When we talk about the kind of challenge that we are facing with climate change, where we need to replace all the electricity generating infrastructure with clean infrastructure, and then electrifying heat and possibly transport as well, then we should be thinking in terms of scale and volume. With nuclear, for example, we think about one-off construction projects, where 5,000 people go to a muddy field and build the thing by hand. That is practically how it is done. We need to modernise that approach, so that it moves to factories, shipyards, where we have a modularised approach, mass production, and a new regulatory system that enables product-based licensing rather than state-by-state. We’re seeing that kind of innovation and cost reduction in the off-shore wind sector and in the solar sector. Let’s go back to climate and transport. What can you say about the future of the transport sector? I am really impressed by the emphasis on the transport sector here in Slovenia. Honestly, this is not the case everywhere. First of all, a big strategic vision is needed, with some goals in relation to congestion, pollution, noise, climate and emissions. Of course, the right sort of business climate is needed to finance all of this. Financing large infrastructure projects through the private sector is really hard. Who wants to make a very large upfront capital investment with a very long rate of return? But how do you see the transport sector in 20 or 30 years? Do you see more electric cars in the real world or is this something that will remain more or less only on paper? I am pleased that you are talking about transport because when we discuss climate change, people tend to have a quite a narrow perspective which is always focused on the power sector. What about heat, what about transport? It’s roughly about a third each in the emissions’ challenge. Heat is twice the size of the power sector in Europe, so it is about 6,000 TWh. My colleague from Finland, Rauli Partanen, wrote a study on how to decarbonise an entire city region with advanced nuclear reactors. He chose Helsinki because the heat load is 6-times greater in winter than in summer. Helsinki has around 1.5 million people and a district heating system, and it uses coal or wood. The same as here in Ljubljana. Really? How interesting! Well, there is a plan for Helsinki to use heat for the district heating system from the nuclear plant. In summer additional power is used to fuel electrolysis and make hydrogen for the transport fleet. The answer to your question is: I don’t know. Is there going to be a totally electrified fleet or a combination of a hydrogen and electrified fleet? For sure, we’re going to need to find a replacement for oil. The interesting thing about nuclear is that it’s not confined to the power sector, but the technology can be applied in the heat technology for industrial heat. Again, it’s very difficult to find an alternative for fossil fuels for the steel industry, for example. With nuclear technology, a cheap, high enough heat level to replace fossil fuels could be found. Am I working for the nuclear industry? I don’t take any money from the nuclear industry and I keep saying that I am constantly talking about nuclear energy because it’s completely neglected. Nobody else is talking about it. I started my organisation because I realised that only the nuclear industry and politicians were making the case for nuclear. Now, the last two questions. Firstly, because you haven’t yet answered this, what are your biggest achievements so far? And secondly, what has been the biggest revelation for you during your work in the past decade? Probably our biggest achievement was when we brought the world’s most famous climate scientists to the COP 21 conference in Paris. Despite being renowned climate scientists, none of them had ever been to a COP before. Among them was James Hansen, who is credited with being the godfather of climate change, and who first raised alarm over this matter in the U.S. They came to Paris because in 25 years of climate negotiations, nuclear energy had thus far been excluded. It was a complete taboo. Some climate scientists are so afraid that if we exclude nuclear energy from the conversation, we are really increasing the likelihood that we will fail to solve climate change. So, they felt it was important to come and to call for a technology-neutral deal. Which is basically saying: allow countries to work out the best way that they can decarbonise, but nothing should be off the table. That’s the message really: nothing should be off the table. I haven’t always been pro-nuclear. If you told me five years ago that I would be running a pro-nuclear environmental NGO, I wouldn’t have believed you because I am an environmentalist and, by default, I was anti-nuclear. However, in light of the scale and urgency of climate change, I have changed my mind.